This event is unfortunately limited only to exotic cars. If you own a beautiful exotic, you may want to check this out. 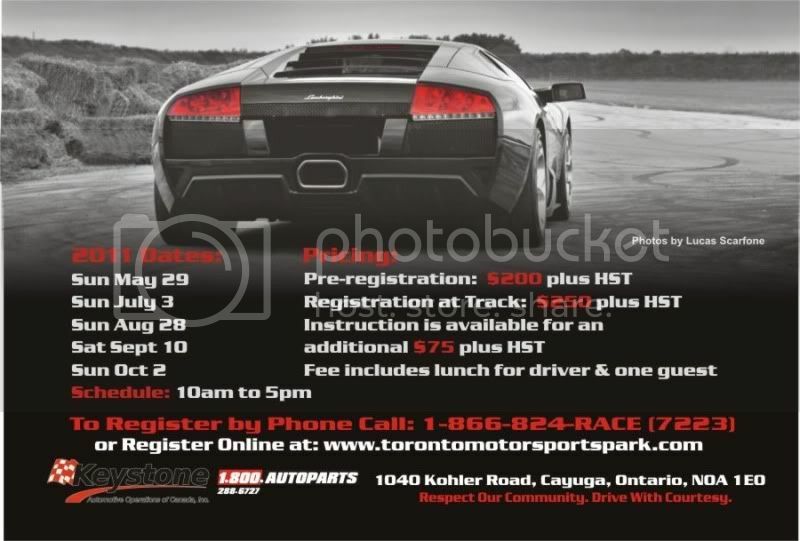 It's an exotic lapping day taking place at Toronto Motorsport Park on Sunday Oct. 2, 2011.